Space constraint is a worry almost every family faces today, since life is increasingly confined within small apartments and modestly-sized houses. Do you continuously feel that there is a dearth of ample breathing space or enough room for storage? Maybe stuff keeps falling off shelves and bursting out of closets. Or if guests come over, then you get anxious about making them comfortable within a limited area. 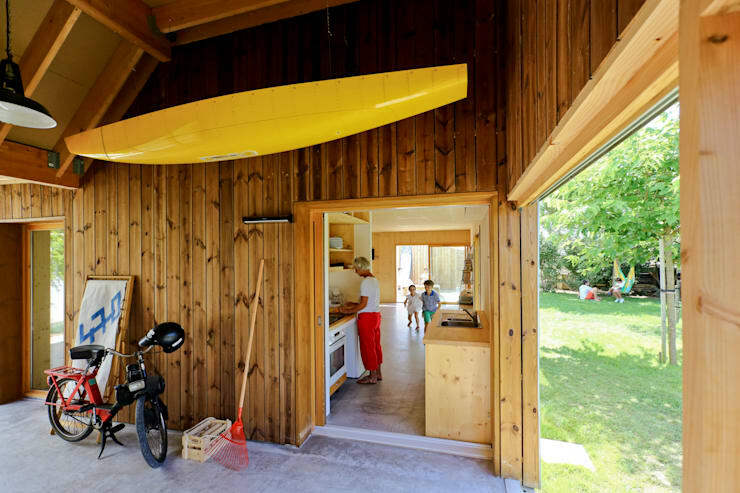 Ensuring privacy can also be tiresome with small abodes. Essentially, we understand that all this can be very frustrating! So what you need are some brilliant ideas to make every aspect of your home work, despite the space scarcity. The right kind of furniture, lighting or design can make an immense difference to the liveability of a small space. Gear up to scourge the marketplace for multifunctional and smart items that can add space to your rooms in a unique way. A change in the way you design or plan your interiors or exteriors can significantly help in beating small space blues too. Read on to arm yourself with some clever hacks! If you thought that curtains are only meant for windows, then think again. They can be used with élan for subtly dividing living spaces and introducing much needed privacy. And they can be visually enticing too! 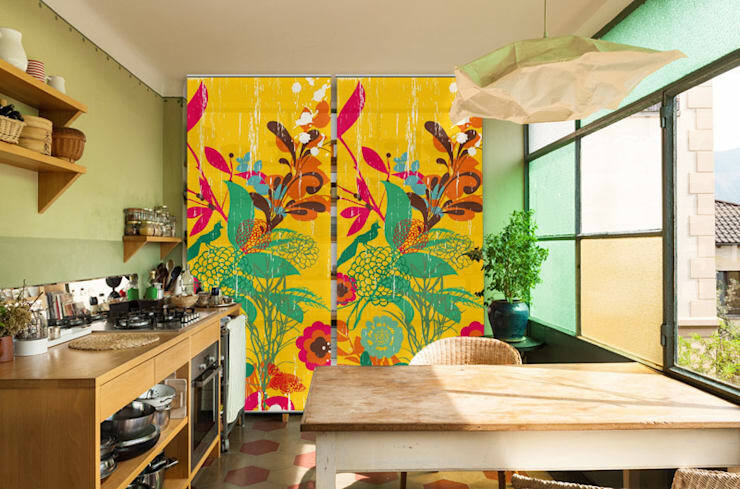 Take a hint from this vibrant, gorgeous curtain which elegantly separates the kitchen and dining area from the living space in this abode. Its bright colours add life and charm to an otherwise simple and no-nonsense space. Opaque curtains are ideal if you are rooting for complete privacy. So now you know that you don’t have to spend a chunk of money on building partition walls. Curtains can do the deed for you! 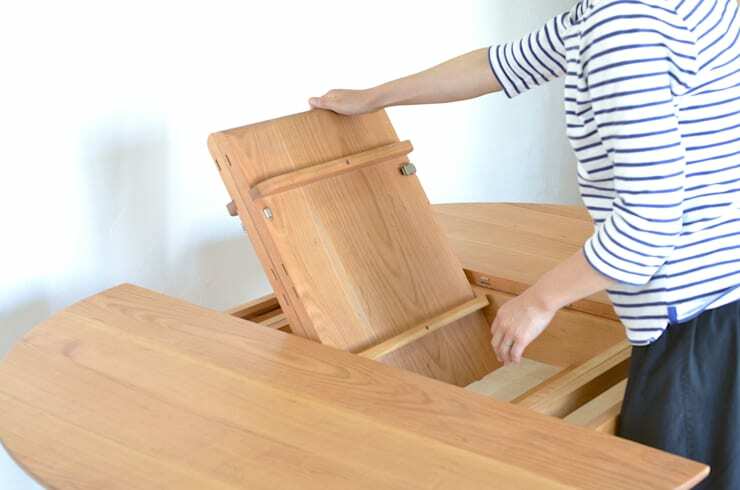 The usual dining table or bed is probably taking up tons of precious space without you realising it! But don’t worry. Foldable tables and beds are the norm of the day, especially in tiny urban settings. Folding tables can maintain a compact shape when only a few people are dining, but can expand to a larger size when friends and family come over. The same principle applies for foldable beds too. Use them like a sofa or divan when you don’t need to sleep. And unfold it to create a comfy bed when you are dying for a nap or when guests drop in. APE Architecture & Design Ltd.
Are you a bookworm who constantly worries about storing those endless volumes in an organised manner? Or maybe you need shelves for storing knick-knacks which you cannot bear to part with? Take a look at the chic foldable shelves pictured above to appreciate what they can do for you! Inspired by a simple yet clever mechanism, these shelves can expand or contract as per your requirement or the growing needs of your family. For instance, you are a great reader and you need to keep your books somewhere. But then you discover that your tiny tot is an avid reader too! Naturally you will need more storage space for his or her books right? These foldable shelves can then come in extremely handy. 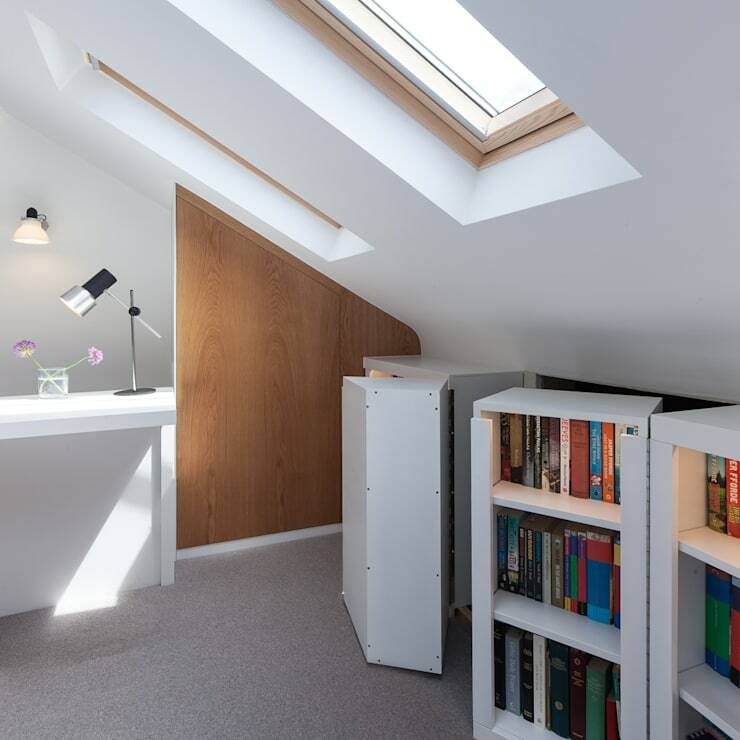 This innovative concept is brilliantly used in this attic by designers Ape Architecture & Design Ltd. in the United Kingdom. Bright lighting can make even the smallest or dullest of spaces appear bright, cosy and inviting. Purchase small but powerful LED lights for illuminating every nook and cranny of your home with taste. 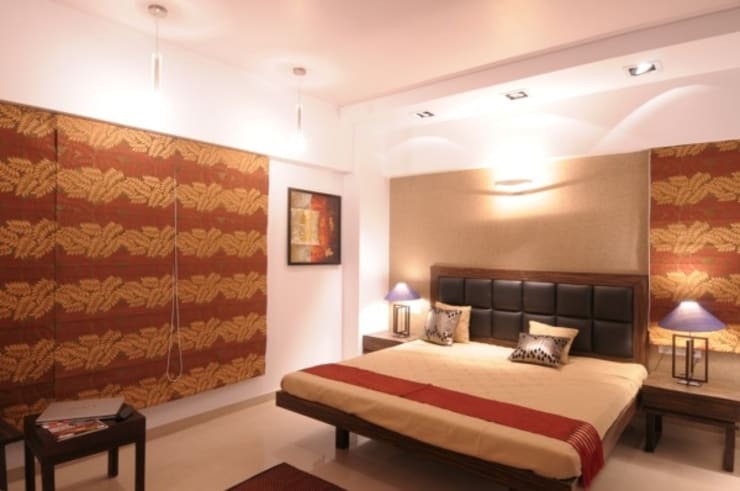 Observe how the right kind and different types of lighting have transformed this simple bedroom into a welcoming and serene sanctuary. The lights used are good enough for you to read or write or sew fabrics, while being soothing enough after a tiring day at work. And their modest sizes don’t overwhelm the room’s ambience at all. If you are lucky enough to have a mezzanine floor, then don’t let it go to waste. Put it to good use by stashing away the furniture you don’t use frequently, long forgotten sports equipment, extra blankets or quilts etc. 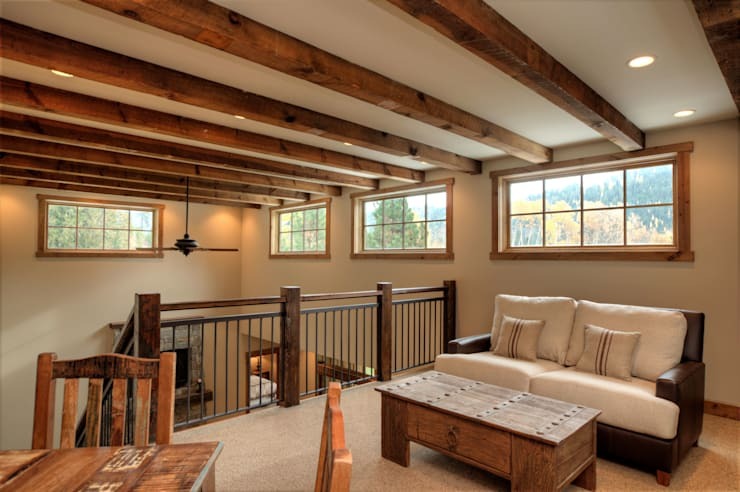 You can also consult a builder or architect to help you with the construction of a mezzanine-like structure, in case you don’t already have one. Or else, go for a sturdy ceiling hung storage crafted from wood or stainless steel which can be effectively utilised for storing all odds and ends which you no longer need on a regular basis. The beauty of an elevated storage space is that, it offers you more space without eating into your floor area. So now you don’t have to bump into things when you are rushing about in the morning. Does that sound strange? Let’s explain then. If you have an independent abode, then your garage can be intelligently employed for organizing loads of stuff besides housing your car. Just install an adequate number of wall shelves and ceiling-hung storage units to make arranging things an easy task. You can use closed or locked cartons to keep things in your garage space, and label them neatly for the times when you need to find something quickly. A small shed instead of a full-blown garage can also come to your aid for outside-the-home storage. Just make sure that you keep the garage clean, and add some powerful lights to make hunting for stored items convenient. If you live in an apartment, then you properly don’t have the luxury of a covered garage space. In that case a sleek locked shelf just outside your flat can be used for storing all your shoes at least, if nothing else. Besides the tips mentioned above, there are many other ways of transforming small spaces into an oasis of delight. Make the most out of the space under your bed, space above closets, space above your doors to store things or build storage shelves. The under-sink area in the bathroom, the space behind doors, and seats which come with storage room are perfect for small homes too. Here is another ideabook to get you started: 11 original ways to store and hang your clothes. Which of these ingenious tips has inspired you? Let us know in the comments!